Nissa, this is wonderful. A protestant friend was just talking about this last night! She had been to a Planned Parenthood protest and was struck by the power of the rosary as it was prayed by priests at the protest. I will send her this blog post. Thanks, this is great to know. We all need to pray more than ever now. Thanks so much, Daniella! I wish that more Protestants and Evangelicals could discover the power of the rosary. Is never heard of the Lutheran rosary, but I think I’ll give it a look! 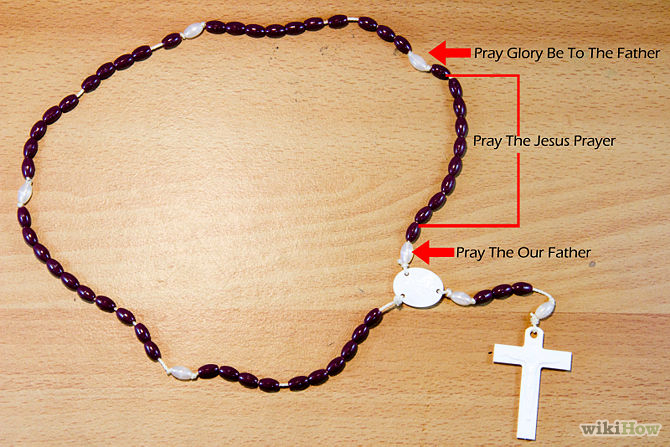 There is no need for a rosary to pray to Jesus. The’s websites showing Lutherans doing this are wrong. Martin Lutheran got rid of the extras in the Romans Catholic Church that were not Biblical, but man made. Jesus is our mediator , not Mary, as told in the Bible. Mary blessed as she is, was human, JESUS IS GOD. JESUS died on the cross, Mary did not. Mary was a sinner and needed Jesus also, as for told in the BIBLE. THE BIBLE IS ALWAYS RIGHT. Pray, pray, pray, but not with anything but the Holy Spirit and your heart. No, the websites showing information about the Lutheran rosary are fact-based. Just because YOU don’t agree with them does not mean that they are not real. And for the contention that Mary was a sinner— Martin Luther, founder of the Lutheran church, believed that Mary was conceived without sin, because that was the only way she could have the sinless Son of God in her womb. That sinlessness was a result of Jesus’ future death on the cross, because God is not restricted by time as humans are. Also, the Bible does not forbid us to use material things when we pray. What about the Ark of the Covenant or the brass serpent of Moses— both constructed by God’s order? I suggest that if you want information on the differences between Catholic and Lutheran (Protestant) beliefs, you read ‘The Catholic Verses’ by Dave Armstrong. You might also read Dave Armstrong’s bio of Martin Luther. Thank you! It wasn’t quite the missing page but it was something new I haven’t read before and gave me a clue to something to research for the coming book on the Lutheran rosary.